We all know that there are good bugs and bad bugs in our gardens, and many of us are aware that getting rid of the bad bugs often means that you’re getting rid of the good ones too. Unfortunately, when you eliminate good bugs, it’s not uncommon to see the bad ones come back in even larger numbers without their natural predators to keep them in check. To avoid this frustrating cycle, why not try inviting more of the good bugs to your garden and spending less time with the sprayer? 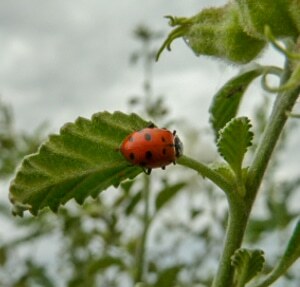 Many of our beneficial insects, like the ladybug, eat different things as adults than they do in their larval stage. As larvae, they often feed on pests (such as aphids), but as adults they get their nourishment from the nectar or pollen of their favorite plants. Making use of these plants in your garden increases the chances that beneficial insects will stick around when it’s time to lay their eggs. 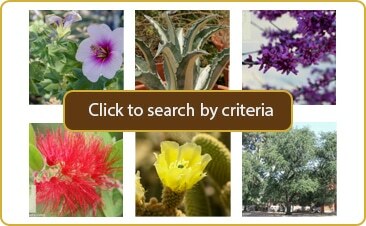 High ranking on our list are herbs and native plants, as these are common beneficial insect attractors that won’t become invasive in the desert. Native plants are more likely to attract local bugs than imported plants are. Their big bonus is that they’re already adapted to our climate, so they often require less water, thrive in full sun, and tolerate our extreme heat and soil conditions better than non-natives. Herbs may require a bit more water and/or shade, but they’re useful enough in the garden (and the kitchen) to be worth the extra effort. Many herbs do double-duty as a beneficial insect attractor and a natural pest repellent at the same time! This list of plants covers beneficial insects that eat pollen or nectar as adults, but keep in mind that less spraying makes your garden more available to other beneficial insects as well. Praying mantis and assassin bugs are just two examples of beneficial insects that can’t be attracted to your garden with pollen or nectar. However, woody plants that help shelter these insects from wind, rain, sun, and birds can help to keep them around your garden. So, without further ado, here’s our list of the best plants for attracting beneficial insects to your garden, and keeping them there for generations (insect generations, that is)! *Asclepias tuberosa (Butterfly Weed) – Ladybug, bonus because this is also a great nectar plant for adult butterflies (especially the Monarch).